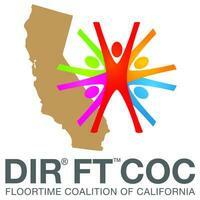 The DIR/Floortime Coalition of California is made up of parents, professionals, and families promoting choice in treatment approaches. We are making new laws and spreading the word about evidence-supported developmental approaches to treatment such as DIR/Floortime to help people across the lifespan with autism and other developmental differences. We are committed to expanding awareness, access to, and use of developmental approaches through education, fundraising, research, networking, and policy advocacy. Past President: Diane Cullinane, M.D.